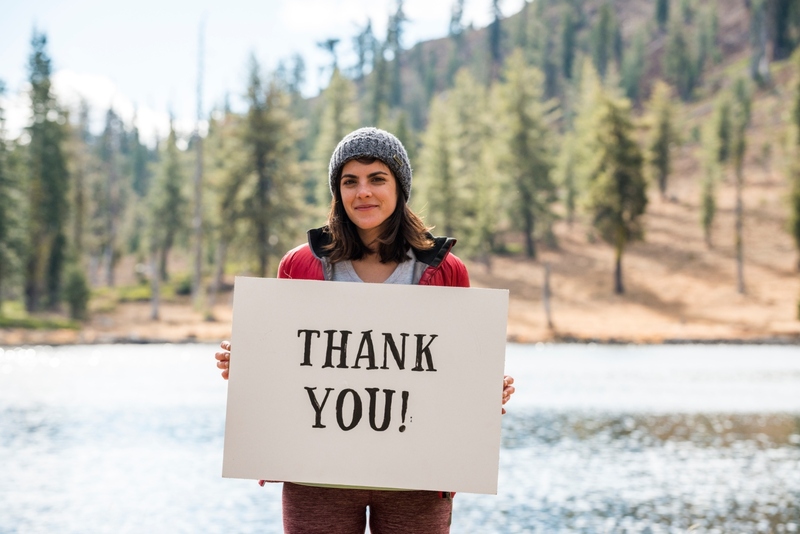 At The Trust for Public Land, we help communities write, campaign for, and pass ballot measures that create new public funds for parks and land conservation. We supported 18 ballot measures on Election Day 2018, and voters approved 17. Click on a state to see the results. The City of Tucson is asking voters to consider approving a $225 million general obligation bond for capital improvements. If approved, the measure will create a dedicated funding source for playgrounds, sports fields, pools and splashpads, recreation centers, and bike and pedestrian paths. We urge Tucson voters to vote YES on Proposition 407 this November. Sonoma County is asking voters to consider approving over $115 million to improve and protect Sonoma County’s regional and neighborhood parks. The measure will appear on the November 6 ballot as Measure M and will need a supermajority for approval. The sales tax funding will help safeguard water supplies, streams, and rivers; reduce future wildfire risk; preserve fish and wildlife habitat; conserve natural areas for future generations; support community health and expand walking, hiking, and biking trails. If passed, two-thirds of the funds raised would go to county parks and one-third would go to cities for our neighborhood parks. The City of Fresno is asking voters to consider approving over $1.1 billion to update and improve Fresno's current parks, trails and facilities, make parks cleaner and safer, and create parks in neighborhoods that lack access to them. The measure will appear on the November 6 ballot as Measure P and will need a supermajority for approval. Los Angeles County is asking voters to consider approving over $300 million annually to provide local, dedicated funding to increase local water supply, improve water quality, and protect public health. The measure will appear on the Nov. 6 ballot as Measure W and will need a supermajority for approval. Specifically the measure will help with improving/protecting water quality; capturing rain/stormwater to increase safe drinking water supplies and prepare for future drought; and protecting public health and marine life by reducing pollution, trash, toxins/plastics entering Los Angeles County waterways, bays, and beaches. Denver’s parks, trails, and open space are a defining feature of life for this active city on the doorstep of the Rocky Mountains. But the longer the city waits to restore and maintain its recreation resources, the more it will cost taxpayers in the long run. And it’s especially important now, as Denver’s population grows faster than almost any other major city in the country. The time to plan for smart, healthy growth is now. That’s why we’re urging Denver voters to vote YES on a quarter-cent sales and use tax. The measure could generate nearly $46 million for parks and open space, just in its first year. Connecticut’s public parks and forests are a key driver in the state’s economy, attracting eight million visitors every year and generating over $1 billion in state revenue, while supporting nearly 70,000 outdoor recreation jobs. Question #2 will amend the Connecticut State Constitution to protect lands held by the Department of Energy & Environmental Protection (e.g. state parks, state-owned farms, forests, trails, wildlife management areas, etc.) or the Department of Agriculture from being sold, converted, swapped, or given away without first receiving a public hearing and a two-thirds vote from the General Assembly. Improving accountability and transparency in government and protecting community assets is critical to support the state’s economy and quality of life for future generations. This bond referendum will generate funds to acquire and develop an eight-mile extension of Sarasota County's popular Legacy Trail. Since it opened in 2008, the trail—an 11-mile path converted from an old railroad bed—has become a mainstay for walkers, runners, and cyclists, attracting 200,000 visitors annually. If approved, the bond referendum would also help improve trail connections from North Port through Venice to downtown Sarasota. The measure will also fund much-needed improvements along the entire route, including elevated overpasses at busy intersections. The city of New Smyrna Beach on Florida’s Atlantic Coast is experiencing a wave of development and population growth, and residents are advocating for more parks funding to keep up with the increased demand. The city has an opportunity to purchase a property along Turnbull Creek that’s currently slated for residential development and conserve it as a nature park instead—and they’re voting in November on a $15 million bond to fund the project, which will protect clean water by preventing pollution in local creeks and rivers, and ultimately the Atlantic Coast. Doral is a beautiful, active, family-friendly city in the heart of Miami-Dade County. This election season, voters will take up the Parks for Tomorrow referendum. If it passes, the 30-year, $150 million bond will fund five miles of new trails, green spaces, sports fields, playgrounds, an aquatic facility, and cultural amenities. Local parks where families gather and play would see much-needed upgrades, and the 82-acre Dora Central Park will be improved. In the 1970s, the founders of Cape Coral—a master planned community on a peninsula jutting into the Gulf of Mexico—laid out a series of beautiful canals throughout the town, but established relatively few parks and open spaces. Today, Cape Coral residents are looking to bring their park system up to date, investing in parks, natural areas, recreation centers, trails, boat ramps, piers, and swimming and fishing spots, while creating wildlife habitat. In November, residents will vote on a $60 million, 15-year bond to make it possible. The Georgia Outdoor Stewardship Act will protect Georgia's water, land, and wildlife for future generations—without raising taxes. A state constitutional amendment, the Stewardship Act dedicates a portion of the existing sales and use tax on outdoor sporting goods to land conservation and parks for 10 years. Funding from the Stewardship Act would protect forests, wildlife habitat, and land critical to clean drinking water. Funding would also be used to acquire and improve parks and trails in communities throughout the state—as well as to protect and maintain state parks and wildlife areas. Strict accountability provisions, including full public disclosure of all expenditures, will ensure funds are properly spent. Voters in the central Massachusetts, town of Berlin will be asked to adopt the state’s popular Community Preservation Act (CPA) program, which is already in place in 173 other Massachusetts cities and towns. Over $2 billion has been raised statewide under CPA for open space protection, recreation, historic preservation, and affordable housing. In Berlin, the program would be funded by a 3 percent local property tax surcharge which is expected to raise $250,000 annually. The town will also receive matching funds from the state’s CPA Trust Fund. CPA was defeated previously at the ballot box twice in Berlin, in 2001 and 2006. Plainville, a small community in Southeastern Massachusetts, will be voting to adopt the Community Preservation Act (CPA) program. In Plainville, the CPA proposal is to add a 1 percent property tax surcharge to fund the local CPA account, with the funds being restricted to open space, recreation, historic preservation and affordable housing. CPA is estimated to annually raise $165,000 from the local surcharge plus state matching funds from the CPA Trust Fund. CPA was defeated once before in Plainville, back in 2001. Brooklyn Park’s population is booming—and residents are calling for more parks and better trails to keep pace. In November, voters will have the chance to approve a $26 million bond to fund the parks investments the city needs to stay green and healthy as it grows. If it passes, the measure will generate funds to protect land and water; improve large neighborhood parks and recreational facilities; develop the trail network, and build and maintain special use facilities for seniors and families. Missoula County residents are proud of their tradition of protecting and caring for open space, water, and farmland. In 2006, voters passed a much-needed open space bond. Today, those funds are depleted, and residents know there is work to be done, land to protect, and farms to preserve. In November, voters countywide have the chance to approve a bond creating $15 million for conservation funding. In the city of Missoula, voters will also decide on an annual $500,000 levy for park stewardship. These much-needed funds will ensure Missoula can maintain its commitment to open space conservation far into the future. The Beaufort County Rural and Critical Lands program of has completed 112 land protection projects, preserving over 23,900 acres of land for conservation, parks, buffers, and scenic vistas. Since 1998, Beaufort County voters have approved four successive bond referendums to fund the Rural and Critical Lands program. Voters overwhelmingly supported the passage of these bonds with an average of 71 percent approval rate, approving $135 million for conservation. This November, Beaufort County voters will vote on whether to extend that funding with a $25 million bond to protect clean water, beaches, creeks and rivers, wildlife habitat, and coasts. Austin’s population has been growing rapidly—but its budget for parks hasn’t kept pace. Today, the park system is in dire need of investment, and voters will have the chance to approve two key bonds at the polls this November. They’ll be decided a $149 million bond for parks and recreation, with emphasis on creating parks where they’re needed most. Austin voters will also decide on a $184 million bond for flood mitigation and open space.